Just finishing our third year. Many excited, happy flyers. Come fly at our flying school and feel the grin. The Gyrocopter Experience LONDON EAST is our newest location. Offering State of the Art training materials and the very latest teaching techniques, enabling our instructor to provide the very best tuition, tailored to suit your style of learning. 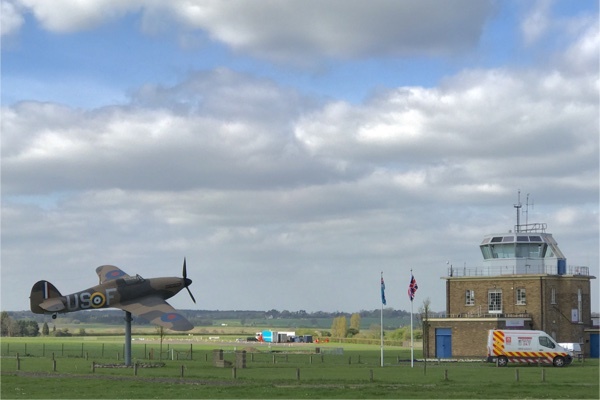 Based at North Weald Airfield, Merlin Way, North Weald, CM16 6HR. 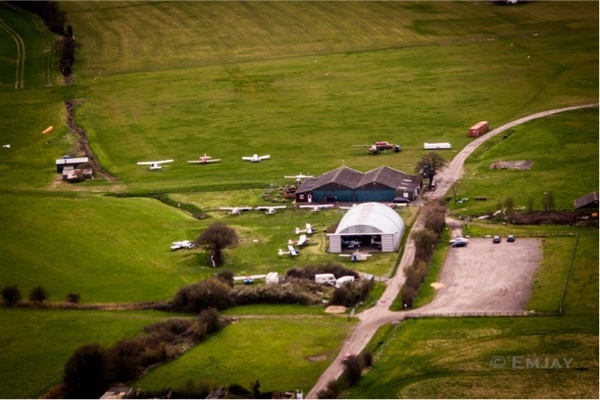 Ideally situated for clients from London, Essex, Kent and East Anglia, the Airfield is alongside the M11 and only five minutes from Junction 27 of the M25. This location provides the perfect tools for guiding you to becoming a great Gyroplane pilot. With a variety of Airfields at our fingertips, you will be trained not only to the very highest PPL (G) flying standard, but also in 1st class airmanship. You will be able to fly across the beautiful Essex and Kent Countryside, with a London City skyline, and fly into all types of airfields and airports with confidence and precision. 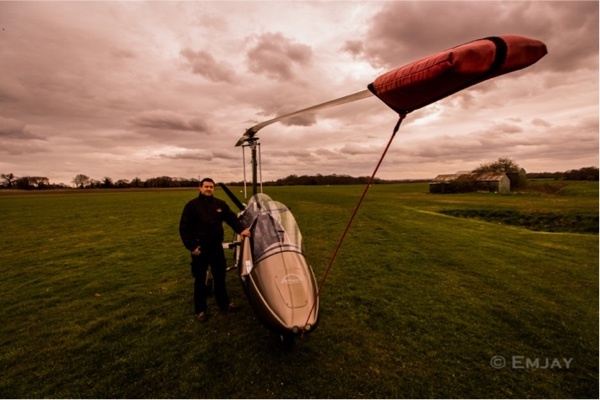 At The Gyrocopter Experience London East, there is also the option to continue your training once you have passed your General flying test (PPL (G)). After all, flying is a lifetime of learning. With a lovely atmosphere and an ever-growing Gyrocopter community, The Gyrocopter Experience London East welcomes you to the club. Just pop in for a chat and a cup of tea, and who knows, maybe even a flight. Alternatively if you want to book a date and time now then you can Book Online . Go on...treat yourself...you wont regret it! Fly into London and experience the amazing London Skyline. Above London City Airport and the Thames Barrier, Canary Wharf and the Shard are a sight for sore eyes!! Take control of one of these amazing machines and fly, with guidance from your instructor. Fly over your house and maybe even hover, or take your very own aerial pictures. Take your pick from the Gyrocopters on offer! Try the exhilarating experience of the open cockpit MTO sport. Fly the Fighter Jet of the gyrocopters, the enclosed Calidus. With all the benefits, comfort and safety of a rotor in autorotation. There really is no better gift for a friend or loved one. And a great way to see where you grew up or the house that you live in. Give us a call, or pop in for a cup of tea.